Johnson 2012a (Review). 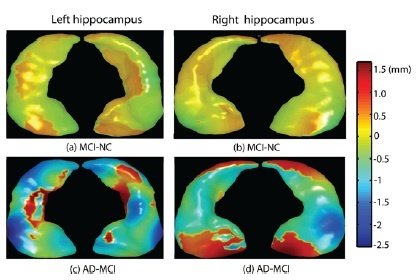 Brain imaging in Alzheimer disease. Cold Spring Harb Perspedt Med 2, a006213. Mueggler 2003a. Age-dependent impairment of somatosensory response in the amyloid precursor protein 23 transgenic mouse model of Alzheimer’s disease. J Neurosci 23, 8231-8236. Nakamura 2003a. Prevalence and predominance of Alzheimer's type dimentia in rural Japan. Phychogeriatrics 3, 97-103. Lecanu 2006a. Beta-amyloid and oxidative stress jointly induce neuronal death, amyloid deposits, gliosis, and memory impairment in the rat brain. Pharmacology 76, 19-33. Zhang 2010b (Review). Disease and the brain's dark energy. Nat Rev Neurol 6, 15-28. Tiiman 2013a (Review). The missing link in the amyloid cascade of Alzheimer's diseare - metal ions. Neurochem Int 62, 367-378. Gotz 2008a (Review). Animal models of Alzheimer's disease and frontotemporal dementia. Nat Rev Neurosci 9, 532-544. Yang 2012a. CSF and brain structural imaging markers of the Alzheimer's pathological cascade. PLoS One 7, e47406. Kashiwaya 2000a. D-β-hydroxybutyrate protects neurons in models of Alzheimer's and Parkinson's disease. PNAS 97, 5440-5444. Dong et al. 2012a (Review). Advances in the pathogenesis of Alzheimer's disease: a re-evaluation of amyloid cascade hypothesis. Transl Neurodegener 1, 18. Arbizu et al. 2013a. Automated analysis of FDG PET as a tool for single-subject probabilistic prediction and detection of Alzheimer's disease dimentia. Eur J Nucl Med Mol Imaging 40, 1394-1405. Amazon link: 河合良訓 監修 2005a. 脳単―ギリシャ語・ラテン語 (語源から覚える解剖学英単語集 (脳・神経編)). Landau et al. 2011a. Associations between cognitive, functional, and FDG-PET measures of decline in AD and MCI. Neurobiol Ageing 32, 1207-1218. Liu et al. 2013a. Apolipoprotein E and Alzheimer disease: risk, mechanisms and therapy. Nat Rev Neurol 9, 106-118. Rosen et al. 1984a. A new rating scale for Alzheimer's disease. Am J Phychiatry 141, 1356-1364.